K J Rule, Cornwall are accredited with the PAS125 BSI Kitemark for vehicle body repair. 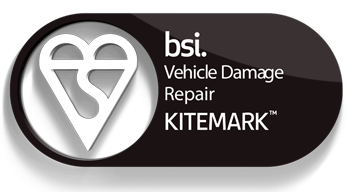 The BSI Kitemark guarantees a high standard of repair to your vehicle, it is there to show the motorist that the highest standards of repair have been applied to your vehicle. It means that the actual repair has been done safely, using the right materials and by a skilled technician so that your vehicle offers you the same protection as it did before your accident.